Strange, intricate, rugged. They have a sharp hills beautiful shining at this stage of illumination.. And deep gorges. At high magnification, we find there a long slit running on the slope of Reichenbach C.
SCT 5″. Magnification about 277x. White pastels. Shadows darkened with the soft pencil. 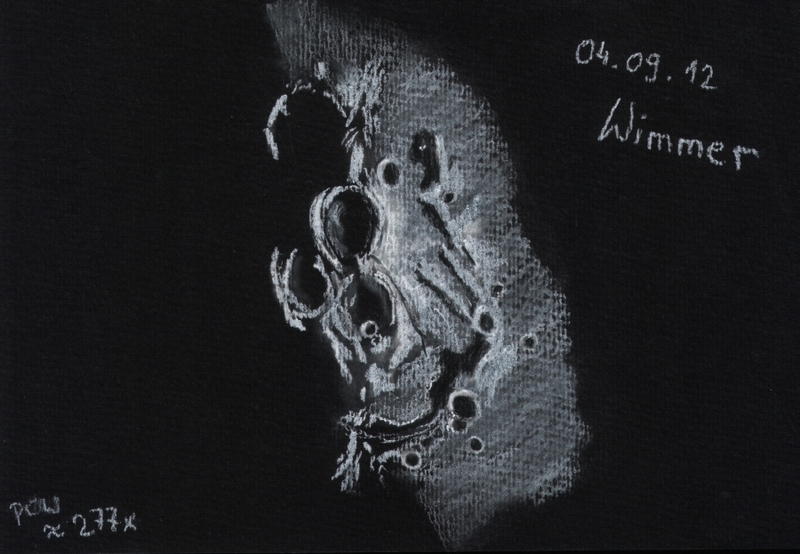 This is an excellent sketch of a complex crater collection. pretty impressive work! I like your sketch very much.